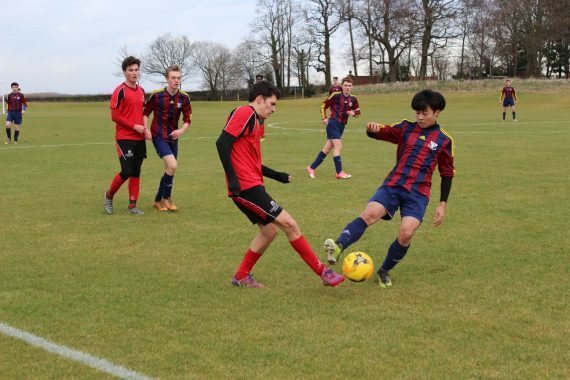 This was the first visit of the U15 side to Concord College. After a long coach journey the team warmed up in preparation for the game. The team were very slow to start and before long found themselves trailing 3-1. A motivational and tactical talk was required at half time. 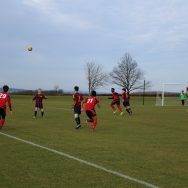 Ruthin then started to play football and clawed their way back to 4-4 with a hat trick from Josh H. The game then took a final twist with Concord College scoring with the last kick of the game to take victory. Edmond had scored the other goal in this entertaining of a rollercoaster football match. The U18 squad was at its bare minimum against a strong Concord side. However Ruthin played extremely well with some of the passing the best it had been all season. A typical football game ensued with Concord taking the lead against the run of play. Ruthin hit back and deservedly equalised through Tom B. Concord then regained the lead only for Elliot to equalise from a corner. Ruthin then took a deserved lead through Alex M. after good work from Truman. Then in a frantic last 5 minutes Concord equalised. This was an excellent game with both teams giving their all.